Just because they’re going to grow into giants doesn’t mean they’re not vulnerable – in fact, quite the opposite. Giant-breed puppies have more sensitive digestions than smaller breeds of puppy. Not only that, but their rapid growth requires a gentle and nurturing diet to help guide them into healthy doghood. 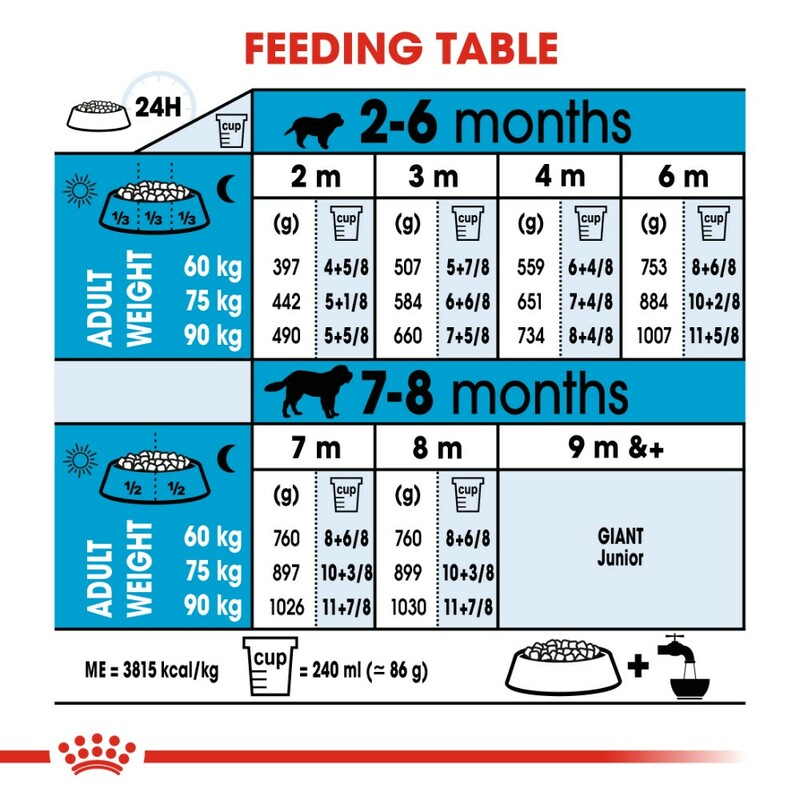 Royal Canin provides this and more. 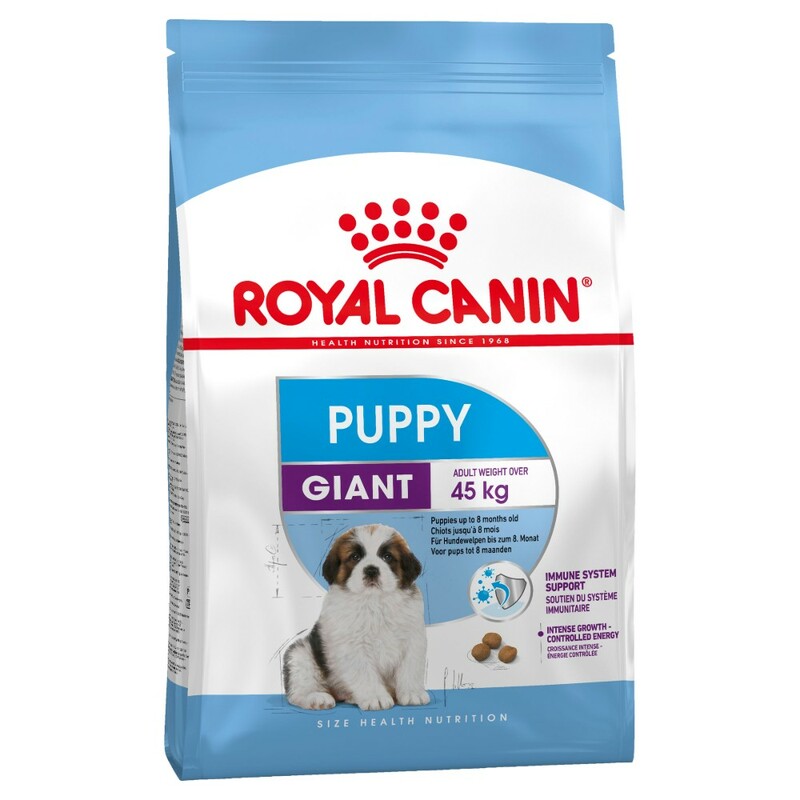 Royal Canin Giant Puppy formula contains a special blend of nutrients, such as proteins and prebiotics, to support puppy’s digestion and stool quality as he grows. An adjusted energy content supports his rapid growth rate, while minerals such as calcium and phosphorous ensure his bones and joints receive nutritional support. 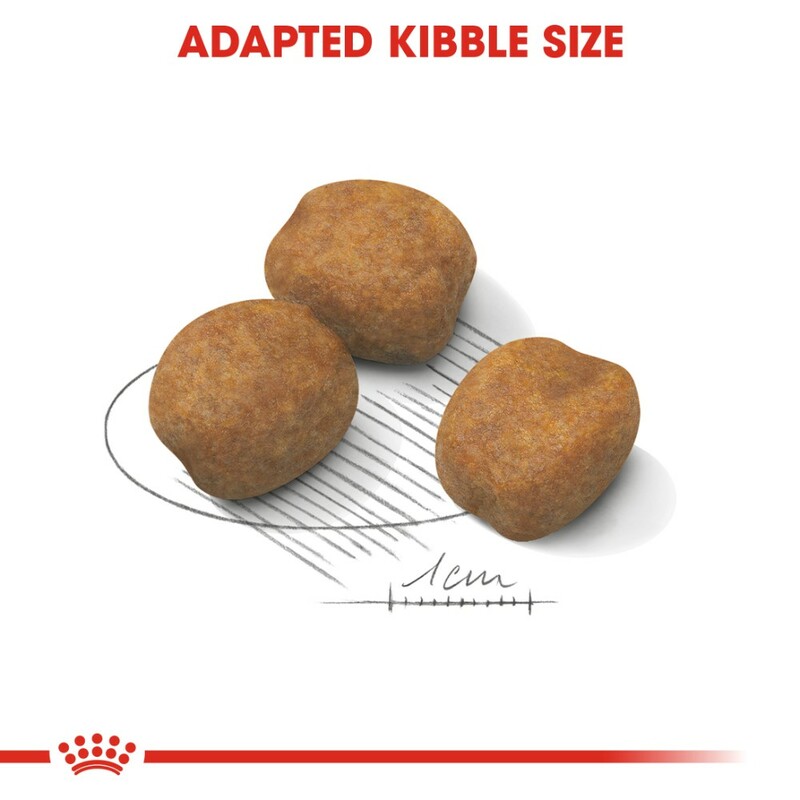 With Royal Canin, you can be sure your giant-breed puppy is well on the way to a life of colossal good health. supports bone and joint consolidation. COMPOSITION: dehydrated poultry protein, rice, vegetable protein isolate*, maize, animal fats, hydrolysed animal proteins, beet pulp, minerals, soya oil, yeasts, fish oil, fructo-oligo-saccharides, psyllium husks and seeds, hydrolysed yeas (source of manno-oligo-saccharides), hydrolysed crustaceans (source of glucosamine), marigold extract (source of lutein), hydrolysed cartilage (source of chondroitin). ADDITIVES (per kg): Nutritional additives: Vitamin A: 17100 IU, Vitamin D3: 1100 IU, E1(Iron):48 mg, E2 (Iodine): 4.8 mg, E4(Copper): 8 mg, E5 (Manganese): 63 mg, E6 (Zinc):189 mg, E8 (Selenium): 0.08 mg -Preservatives - Antioxidants. 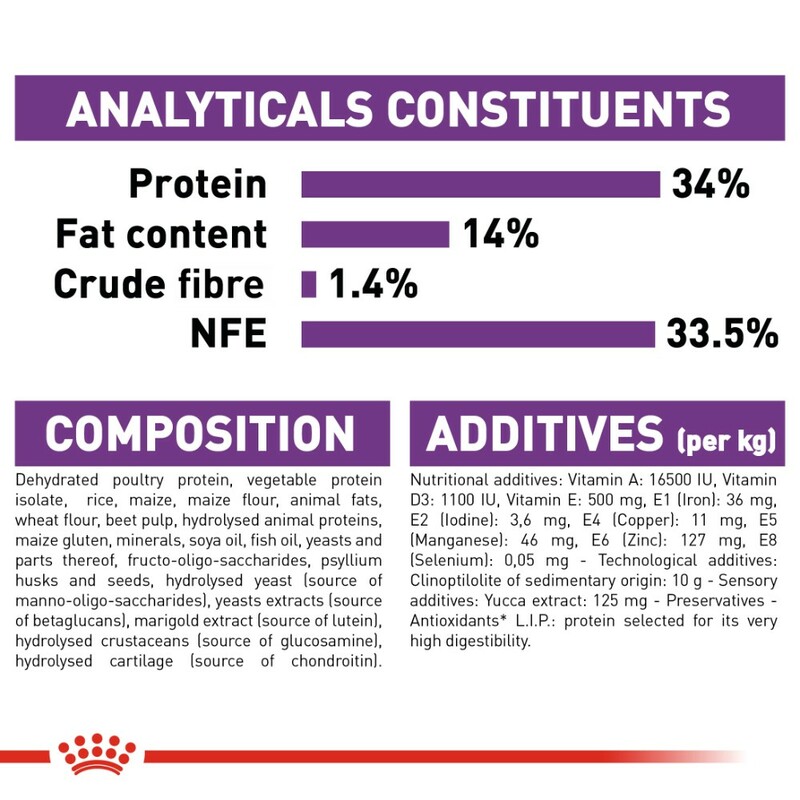 ANALYTICAL CONSTITUENTS: Protein: 34% - Fat content: 14% - Crude ash: 7.2% - Crude fibres: 1.3% - *L.I.P. : protein selected for its very high assimilation.